in the 'April' issue of Percussive Notes. 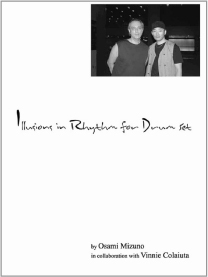 Drumset players looking for a challenge will certainly find one in this new book by Osami Mizuno in collaboration with Vinnie Colaiuta.Illusions in Rhythm is really all about developing the ability to perform hemiolas and superimpose them over other rhythms. As Mizuno makes clear, the concepts and exercises were inspired by his study with Alan Dawson as well as his exposure to Tony Williams. The exercises begin with simple hemiola groupings, such as grouping triplets into groups of four notes and moving them across the barline. Five-and seven-note groupings are also explored. Soon, more complex combinations are presented in various musical contexts. 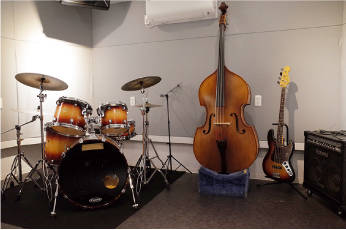 The concepts are applied to several different styles including swing, samba, shuffle and rock/funk grooves. 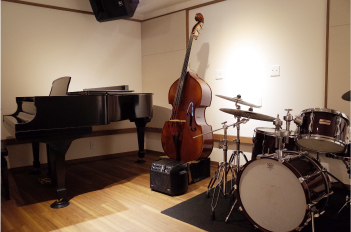 All the exercises are written in a clear format that shows how all the notes line up. This book is for serious drummers who desire to add a new dimension to their playing. 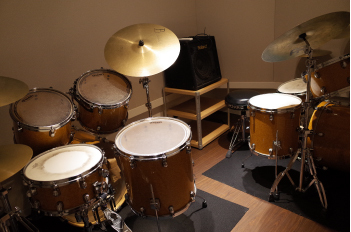 As with all good drumset books, it is open-ended so students can further develop the concepts and techniques. 2017 Copyright(c) Beats Paradise All rights reserved.